US Army Sgt. 1st Class Edward Willis, left, and Sgt. 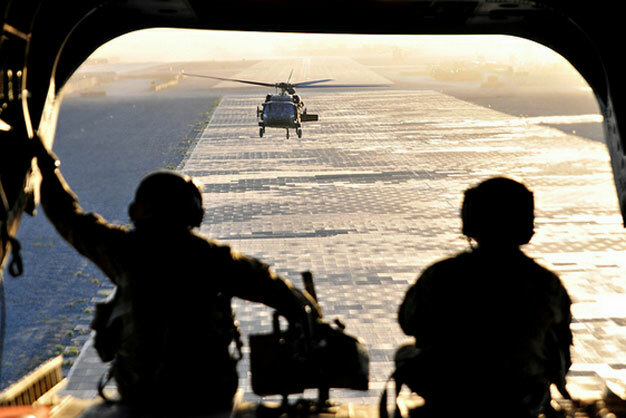 1st Class Derek Walters, both with the 25th Aviation Regiment, 25th Combat Aviation Brigade, keep watch from the back of a CH-47F Chinook helicopter as it prepares to take off on June 3 at Kandahar Airfield, Afghanistan. Photo by the US Army.